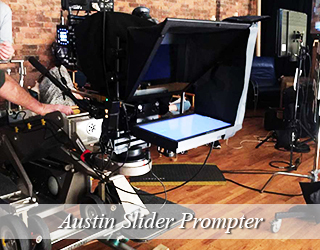 This through-the-lens set up allows talent to look into the camera while reading a script. 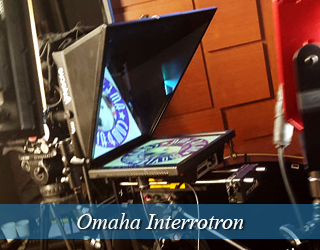 The Interrotron was invented by Errol Morris, the Academy Award-winning documentary filmmaker, who used his Interrotron to get great “face to face” interviews with famous, but non-professional talent. The unit allows director and talent to have a “face-to-face” conversation while still maintaining direct eye contact with the camera lens. American Movie Company has since provided Interrotron services to a range of high profile clients, including Mr. Morris himself! 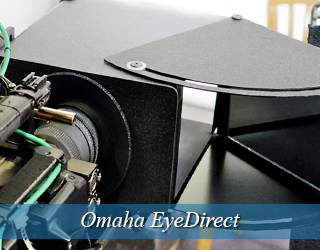 The EyeDirect achieves the same effect as the Interrotron, but it is portable, does not require AC power, and is easy to use. To learn more about the unit, click the link below. This popular unit allows a speaker, who is standing at a podium, to address an audience, while having access to a script. These consist of two glass panels placed on either side of a lectern. To learn more about the setup, and the unit itself, check out the link below. 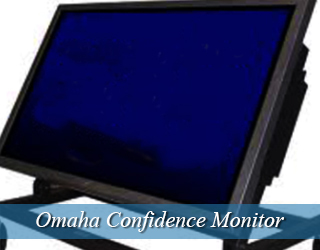 The confidence monitor is used for most live performances when there is no podium for a speaker. They can be placed on stage, off stage, or at the back of the room. There are especially useful for concerts, panels, and Ted Talk-esque events. The size and number of monitors vary depending on the venue and preference of the client. 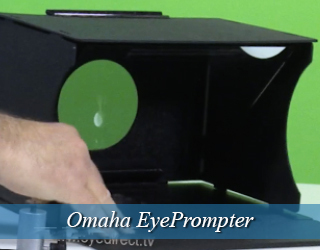 The iPad prompter is a low cost option for shoots with tight budgets. It is important to note, however, that most iPad prompter softwares do not allow for live scroll adjustment. This means that talent must stick to a constant pace that is set by the iPad – sometimes this makes talent sound more robotic. We suggest using this unit for smaller scripts. Go green! 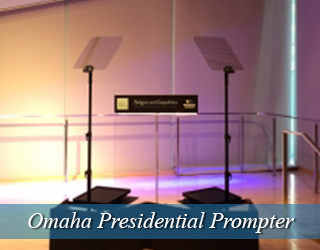 The Podium Prompter is a thin teleprompter monitor that replaces paper notes. 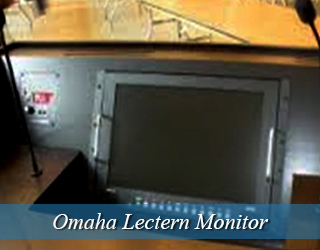 The speaker simply glances down at the monitor, then returns his/her gaze to address the audience. Omaha, Nebraska is located in the Midwest of the United States along the Missouri River. Omaha is often called the “Gateway to the West” and it means “Dwellers on the bluff.” Many Native American tribes settled in the Omaha region such as the Omaha and Ponca people. Omaha is a stop on the Lewis & Clark National trail which is on the Iowa border. Omaha is made up of 408,958 people and is 130.58 square miles. The Midwestern city is divided into six sections, downtown, midtown, north, south, west and east. It is also ranked number three as the best city to “live, work and play.” The city is also known for its running community and its many bike and running trails. Omaha economy grew due to meatpacking companies, jobbing and railroads. The city is home to four of the five major meatpacking companies. Well known businesses such as PayPal, LinkedIn and First Data are now headquartered in the city. Omaha is a diverse city filled with many different cultures. Rhythm, blues and jazz music are very popular in the area, allowing it to have a large music scene. I have found my job as a Speech Coach very fulfilling. I can see the result of my suggestions as the speaker delivers his/her speech. I am usually called to meet with the client a few days before the actual event. I work closely with the talent (as we refer to the men and women and sometimes children in front of an audience). Most often they are receptive and begin to relax. 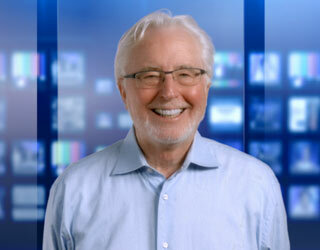 I practice with them as they become familiar with the teleprompter. In addition to this function I also coordinate scheduling etc. It’s fun. I like meeting people and am always eager to find out what the topic of their project is. Never a dull moment! Call us at 917.414.5489 for speech coaching solutions in your area. 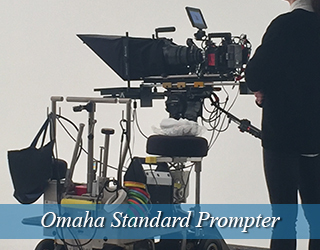 We’ve compiled a few videos for you to practice using a teleprompter. The CenturyLink Center consists of 346,000 sq. ft. of convention space and an arena which can seat up to 18,300 people. The Center also provides 194,000 sq. ft. of exhibition space, 63,000 sq. ft. of meeting space spread across 16 meeting rooms, a 30,996 sq. ft. ballroom and 79,400 sq. ft. of additional space. CenturyLink is Omaha’s go-to space for concerts, exhibits, conventions and other special events. Rain or Shine in Omaha?